Monster Truck Madness – The Mailman Delivers « Big Squid RC – RC Car and Truck News, Reviews, Videos, and More! Before starting the column this week I wanted to just offer condolences to the friends and family of Brian Kinwald. I started reading the r/c car mags back in the early 90’s, and ever since then, he was always “the pro r/c racer”. Icon. The hobby mourns his passing. My name is Erick and my son Raphael. We love monster trucks and We love to watch trigger king videos on YouTube. But it is not powerful enough and breaking down all the time. We would love to get a monster truck like you guys have. I need you help for give me information about . Where can I get and which one is the best to begin and upgrade? My son has 5 years old and he loves max d.
First off, thank you very much for checking out our Trigger King videos. Never ceases to amaze me how many cool people I get to talk to because of the YouTube channel. As for your question, that’s actually a bit tricky since my usual recommendation is not widely available anymore. We will get to that in a second. Let’s talk about the Wheely King first, though. You say it’s not powerful enough and that it’s also breaking down all the time? I’ve owned several WK’s, and while I’d never confuse it with a race Clod or something on that level, they’ve always proven to be fun and tough little trucks. You could easily pop a brushless system in it to help with the speed issue. If you are breaking it stock, you will be breaking it more with the higher speed though. 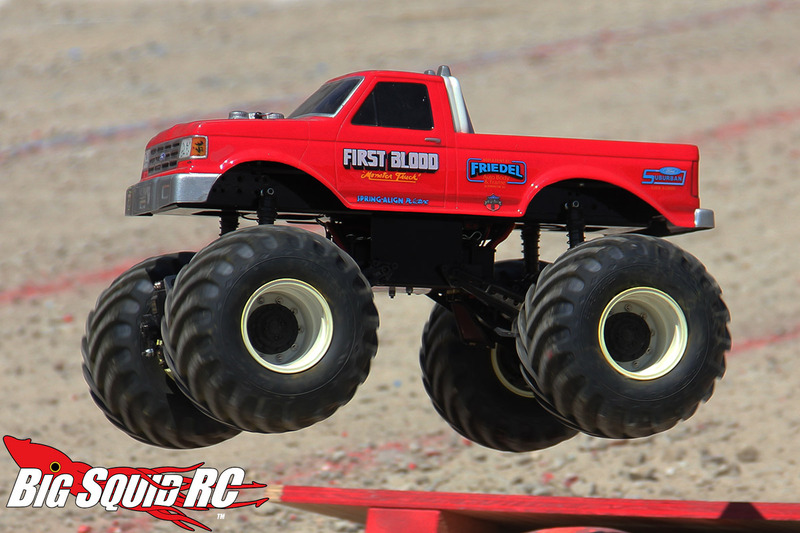 So you wanna move out the HPI and into something a bit more extreme, eh? Here’s where it gets tough. My standard answer to this question since 2016 was to pick-up an Axial SMT10. However, that’s hard to do these days due to the discontinuation. If you can find one reasonably priced on the used market, that’s your best bet. Given that it sounds like you are a beginner in the hobby, I think it would be foolish of me to recommend going crazy with a custom Clod build. Those are tough (and VERY pricey) for even experienced hobbyists. So, my recommendation is to go with a Traxxas Stampede or ARRMA Granite and swap on some Pro-Line or JConcepts 2.2 sized monster truck tires. Yeah, it’s not technically solid axle…but with the right body and tires it will look close enough. More importantly, you can bash the daylights out of either platform. Your youngster will most likely really enjoy that! The other option is to get a Tamiya Super Clod Buster kit. Make sure to order a separate bearing kit with it and a good, high torque 300+ oz torque servo. They are fun and easy builds and even though in stock form they aren’t performance machines, they are still a blast to drive. They are HUGE!